Kim Jae hwan will hold his first solo fan meeting of 2019. The agency of Kim Jae hwan, Swing Entertainment officially announced "Artist Kim Jae hwan will hold his first solo fan meeting of 2019 and FAN MEETING "MIN:D" at Jamsil Indoor Stadium on May 26, and will start on a global fan meeting tour that will connect seven countries including Korea,"
He's first fan meeting, "MIN:D," has the meaning of time to share his mind with his fan club "WIN:D." The title of the first fan meeting was also conceived by the name of the fan club, which is attracting more attention from his fans. Kim Jae hwan's first solo fan meeting will then begin full-fledged global move by visiting Japan, Thailand, Singapore, Taiwan, Hong Kong and Malaysia to meet with overseas fans. Kim Jae hwan ended his Wanna One career in December last year, has raised expectations for his solo career by unveiling even more improved vocal and dance skills at the final concert. In this solo fan meeting, people are curious about what colorful stage they will catch the eyes and ears of their fans. 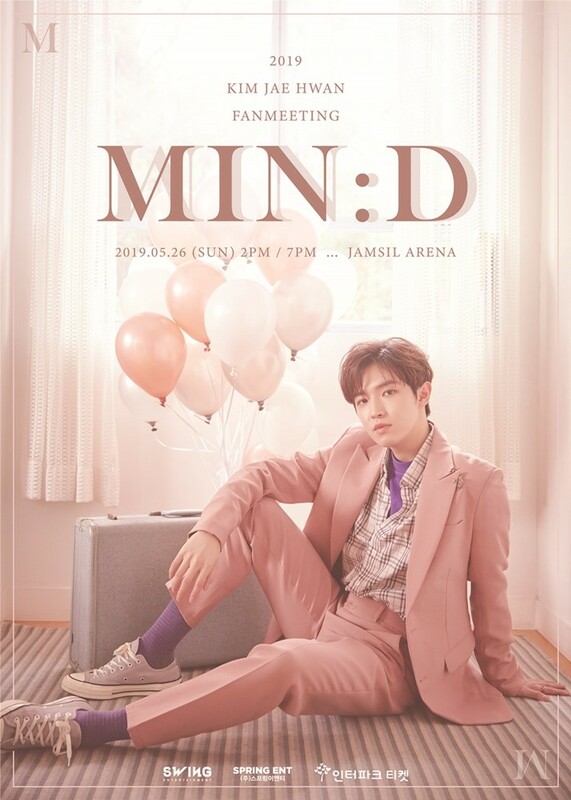 He's first solo fan meeting "MIN:D" will be held at Jamsil Indoor Stadium on May 26 at 8 p.m. on the 11th through the ticket to Interpark, pre-reservation for the official fan club WIN:D. members.